April 9 – Qatar has indicated it will not be pressured into having the 2022 World Cup expanded to 48 teams against its will. 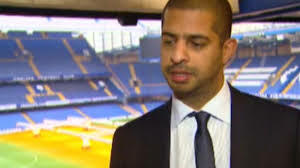 As FIFA president Gianni Infantino continues to push for expansion to be brought forward from 2026 to 2022 and share the tournament with other Gulf countries, Qatar World Cup 2022 CEO Nasser Al-Khater (pictured) said the country was still planning for 32 teams. Speaking to AFP at the Asian Football Confederation Congress, Al-Khater said: “There’s a feasibility study on the countries that could possibly host. So together with FIFA we’re looking into those possibilities. Although Qatar remains open to an extra 16 teams in principle, he was at pains to stress that “the status quo is that it’s still a 32-team World Cup, everything after that is an assessment”. Interestingly, and for the first time in the public domain, al-Khater said there was no chance of the United Arab Emirates or Saudi Arabia, both of which are involved in the diplomatic and trade boycott of Qatar, co-hosting given the current impasse. “Under the current environment I don’t think it’s a possibility,” he said. Oman and Kuwait are being studied as other potential co-hosts with a decision on expansion due to be at the FIFA Congress in June.